Everyone smiles when they're holding honey. Beekeeping seminar in Sumbawanga, Tanzania. 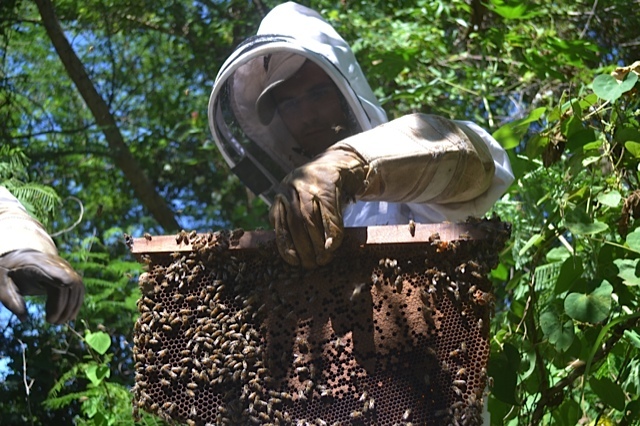 Adam White holding a large mixed brood and honeycomb. 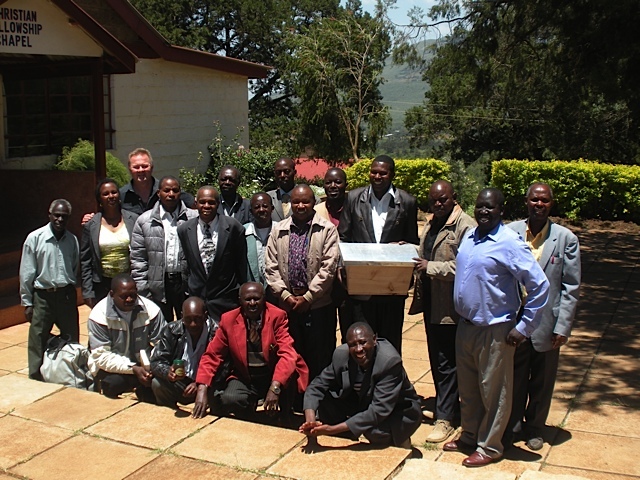 Beekeepers being trained in Iringa, Tanzania. Care of Creation Pastors study beekeeping in their interest to improve income and ecology in Kenya. 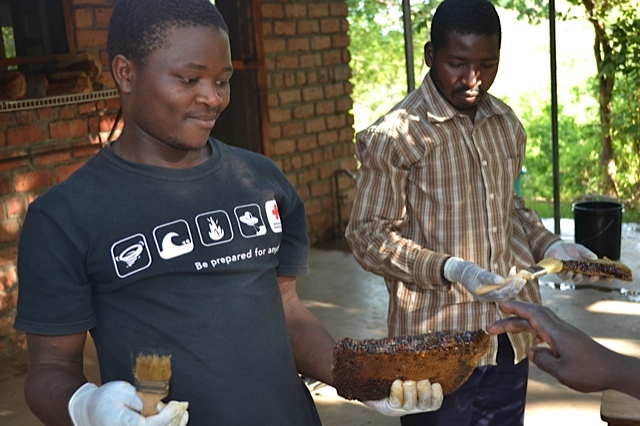 Beekeepers being trained in Rukwa Valley, Tanzania. An entire honey comb of drone comb. Beekeeping seminar for Kijabe Beekeepers Ltd., Kijabe, Kenya. Apis Mellifera Scutellata, the most common mid-range African honey bee. 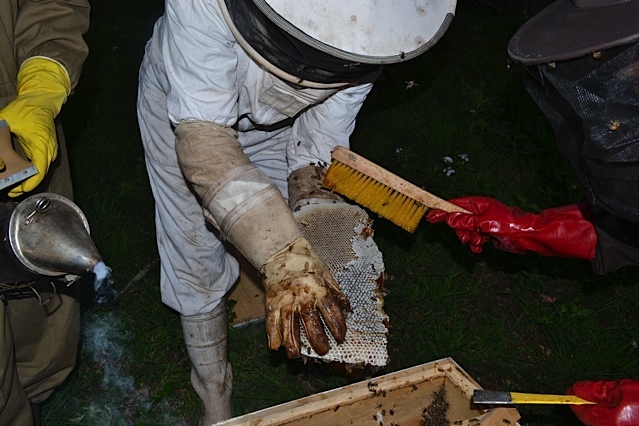 Introducing high school students in Kenya to beekeeping. 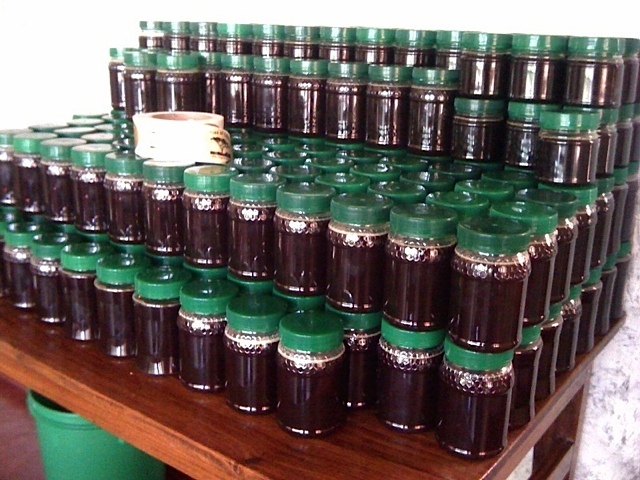 Harvesting dark forest honey in Kenya. Use the buddy system to check all your suits are bee proof. Nothing wrecks the harmony of the harvesting team like bees in suits. Starter strips made of pure bees wax. These strips guide the bees as to where to build their comb. Each is attached to a 32 mm wide bar. This width allows bees enough space to build comb and still have room for “bee space” to navigate those combs as they put their store of pollen and nectar in the hive. Frenki showing how to make bees wax starter strips. It is Easy! new type of flower. Foragers using sunflowers will not use another type of flower until there are no more sunflowers blooming in its area. Solitary African honeybee on open comb. bees much simpler. 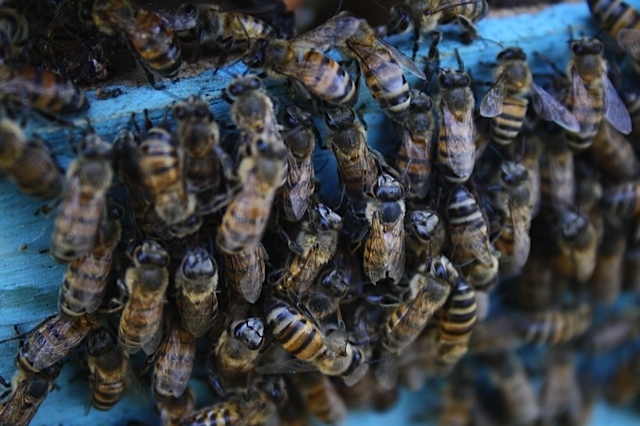 Bees will forage up to 3 kilometers as they look for pollen and nectar. 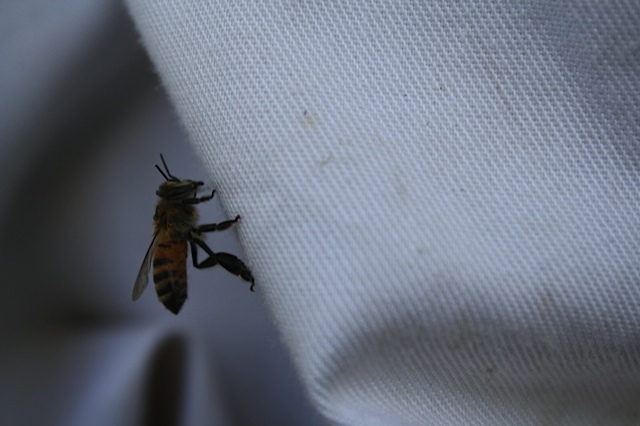 In most cases your hives do not need to be spread out over a large area. Honey comb from Top Bar hive. 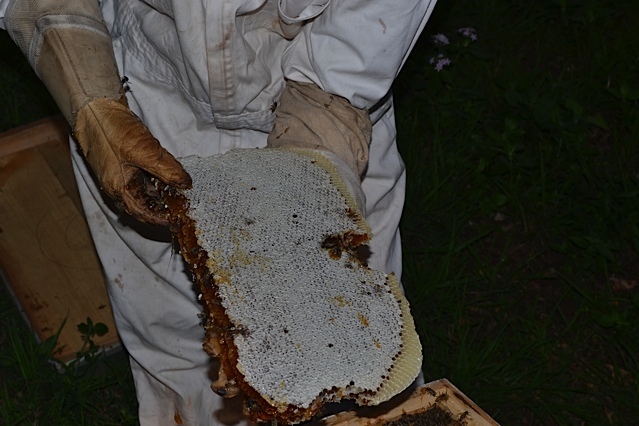 Frenki harvesting from a 30-bar Top Bar hive. Brushing bees off the honey comb back into the hive. Lyanza, Rukwa Valley beekeeper with Top Bar hives. Top bar hives going to the field. Hives should be well constructed, baited and placed in the field at the beginning of swarming season so that you can get prime, large swarms of bees in your hives. After smoking your hive wait 3 minutes before opening so that the bees have a chance to fill their stomachs with honey. This will make them docile and much easier to work. David fires up smokers for the Iringa seminar. years in the African sun and rain. It is important to not over-smoke honey when you harvest. Well capped honey comb signifies ripened honey. Dry cappings are a genetic trait of some colonies.